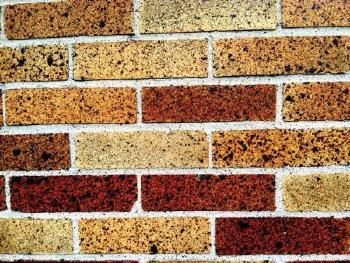 These iron spot building bricks were manufactured by Beldon Brick of Ohio in the early 1930's. The black specs are pieces of iron. This solid brick also has potential for use as a paver.